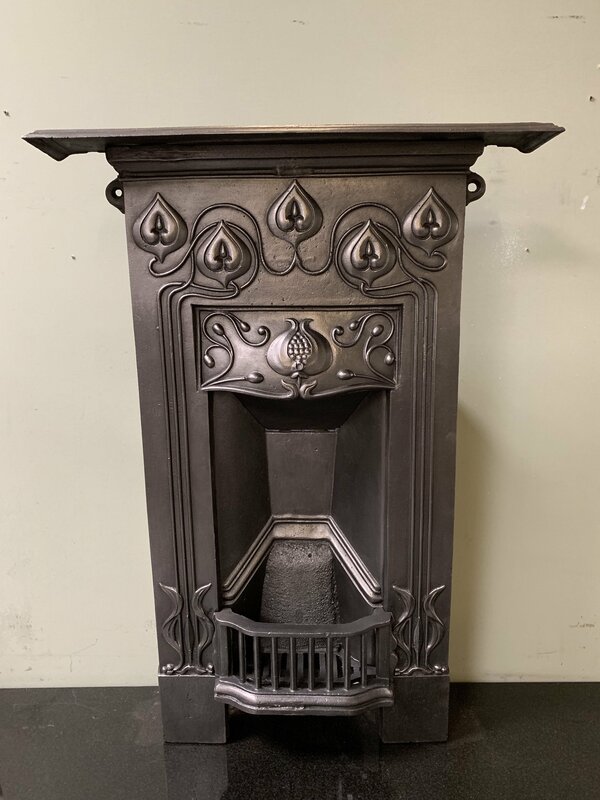 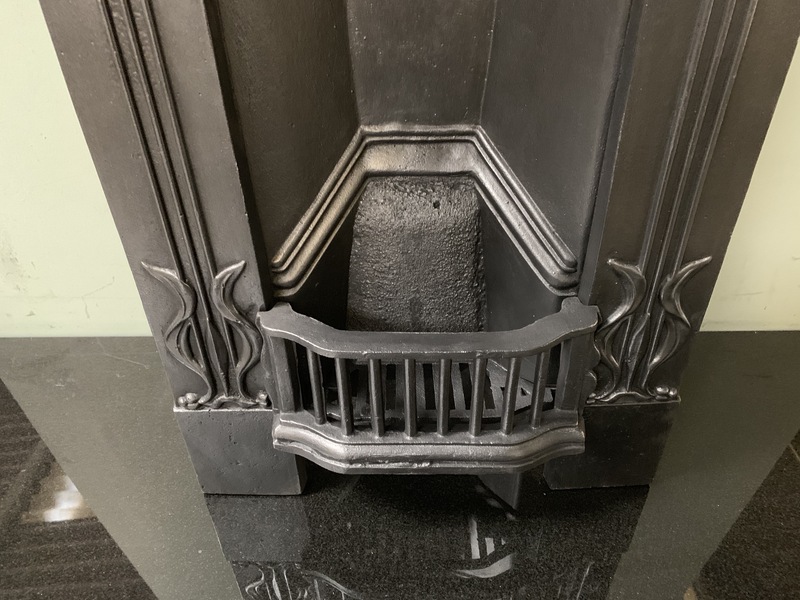 A stunning original antique Art Nouveau cast iron bedroom combination fireplace. 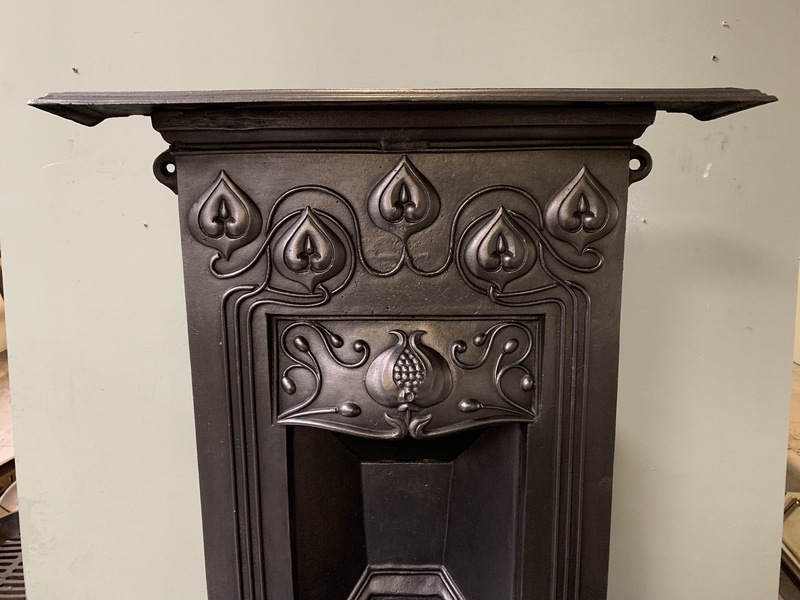 This is complete with its original fireback, grate and bars ready to install. 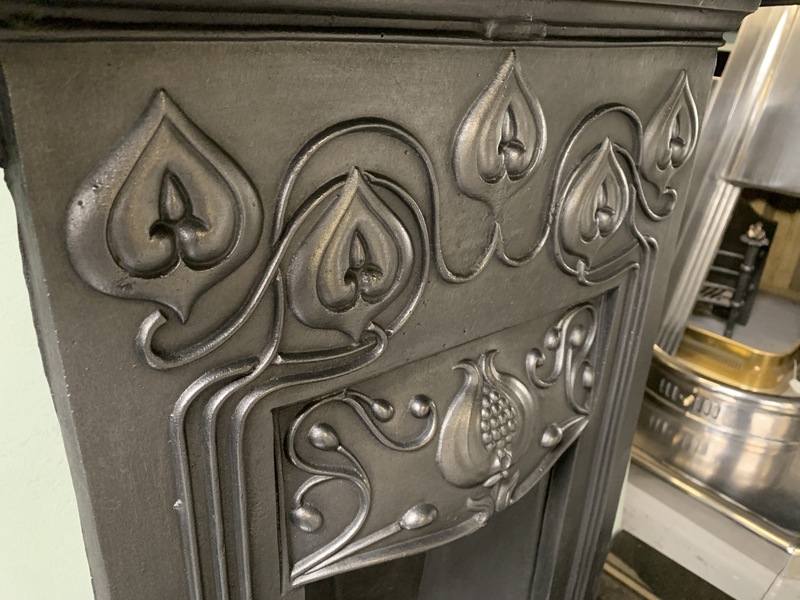 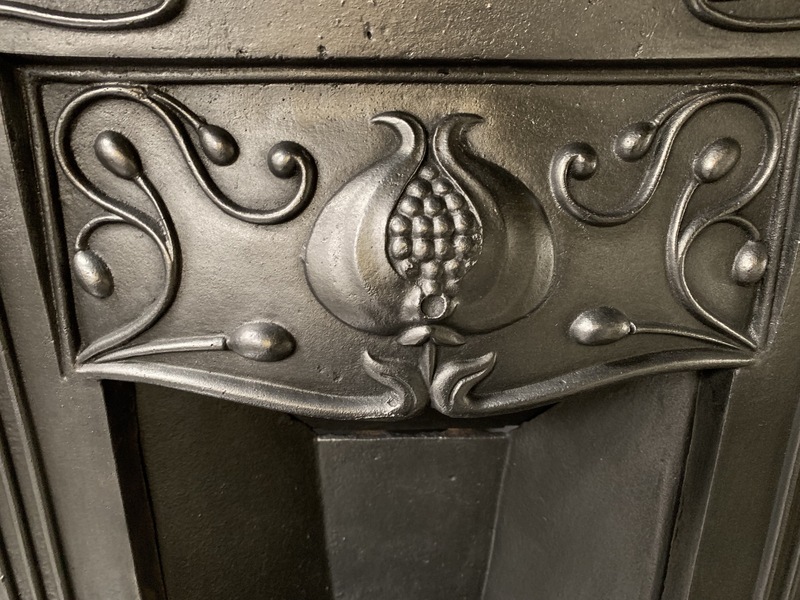 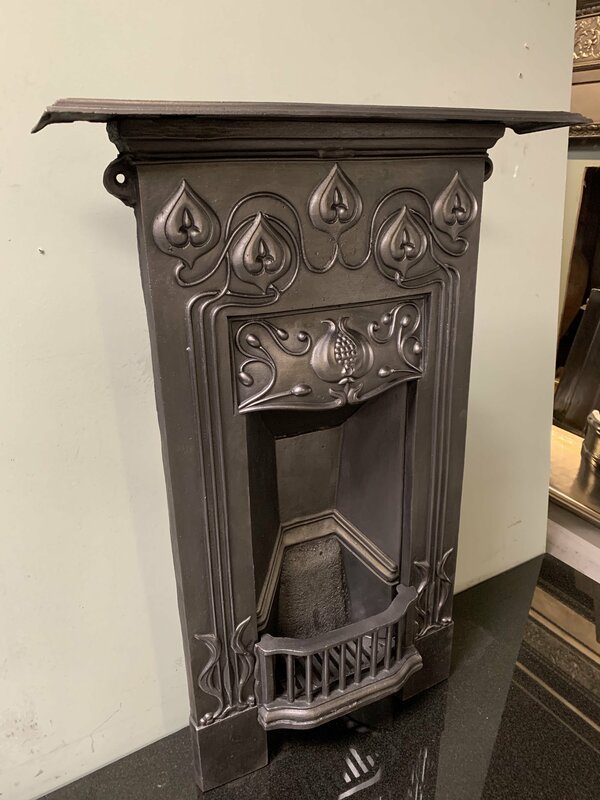 It has been black grate polished to reveal the glorious crisp deep casting of Nouveau flowers, foliage and seed heads/ pomegranate. 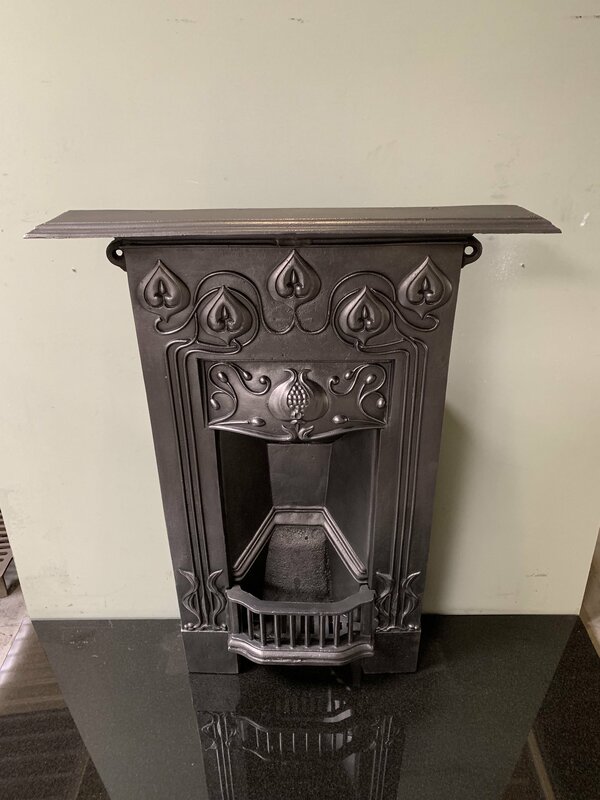 Contact us on 07885 379772 or message below for more information or to purchase.